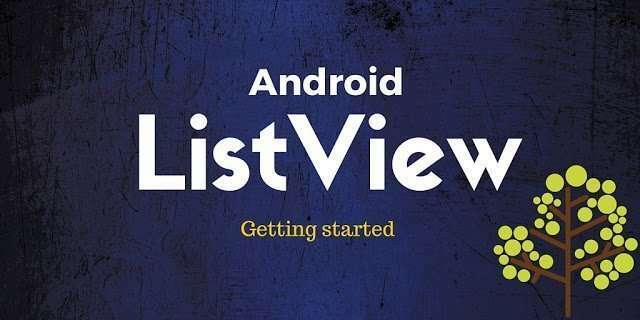 This post describes how to use Android Listview ArrayAdapter. In the last post we talked about the ListView widget and how we need an adapter to show items inside this widget. We showed how an user can interact with this view using OnItemClicklistener. In this post we want to go further and show another type of adapter called ArrayAdapter. We will see, in the second part, how to handle list items at runtime adding or removing them. In the last post we talked about the SimpleAdapter and how it is possible to add items to the ListView using this adapter. Another important and very useful adapter is the ArrayAdapter. This class is a standard Android class and it is very simple to use. We can use it every time we have an array or a list of items we want to show. 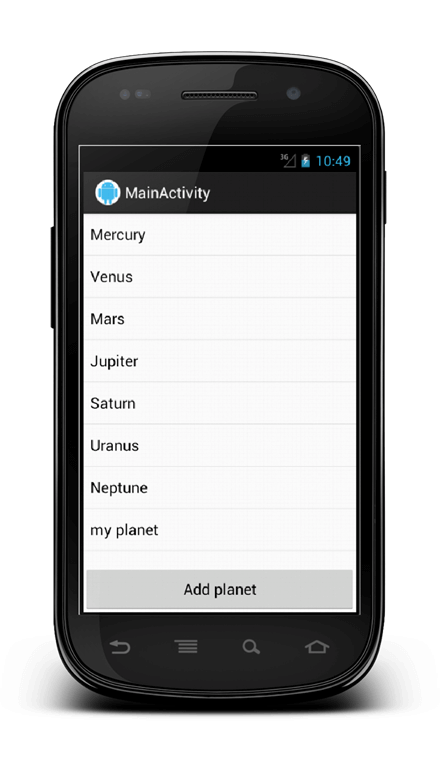 where again android.R.layout.simple_list_item_1 is the layout for our single row and android.R.id.text1 is the id of the TextView we want to fill with the planet name. In this case, the planetList is simply a List of strings. When you run the application, the result is the same shown in the last post. Now we want to go further and start analyizing how we can manage items dynamically. In the Button, we added onClick attribute and we declared the method to be called when user clicks on it. If you want more information please look here. 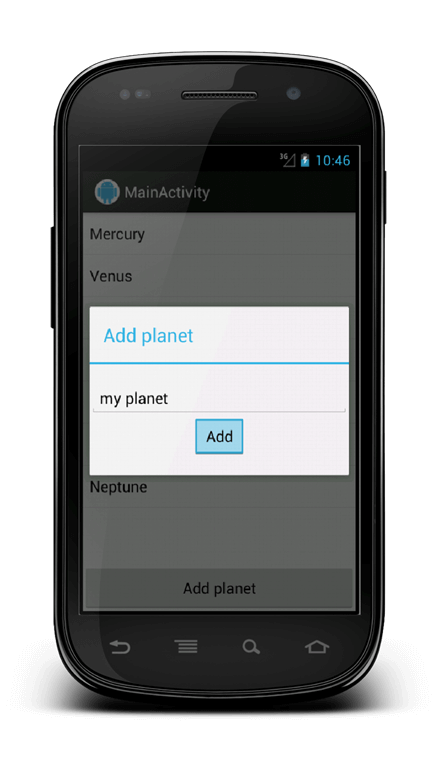 So in this method, we simply open a dialog where user inserts the new planet name. The important thing to notice is the notifyDataSetChanged(). We call this adapter method on to notify that the items are changed and it is necessary to refresh the view. In this snippet, first we retrieve the AdapterContextMenynfo needed to get the item position and then we remove it from the list. Again we notify to the adapter that the list is changed. Very useful tutorials. Just few problems I had. inside of does not seem to work. And in must be "android:onClick" instead of "android:onclick". Please fix it. Or better give sources of working app. Thank you. Nice Article for knowledge update. Can you provide the example code for listview with headers which updated from MySQL database received as json.Additionally column width set according to content received in listview. Please sent the code on my mail id.